Anyway, I hope you like the video! Please thumbs up and subscribe and stay tuned for another video coming soon! I can't quite believe it's taken me this long to blog about September's Glossybox, before you know it October's will be here! Well anyway, I think last month's Glossybox may be my favorite yet! It came packed with 5 items, all of which I would happily use! First of all was the make up brush which I actually forgot to photograph as I'd already taken it out to use so sorry about that! It's by a brand called Marsk and is said to be the perfect companion for your eyeshadow with the bristles of the brush precisely shaped to help create the perfect on-trend eye look this Autumn. Along side this was the Bellapierre shimmer powder which is the perfect shade of grey for a smokey eye. Apparently this is a firm favourite amongst many makeup artists so I have high hopes for this eyeshadow, especially as it claims not to smudge, fade or crease! Next we have a full size tub of the Luminous Colour Hair Masque by Maria Nila. I've never actually used a hair mask before, I'm always worried it will do something weird to my hair so I've never risked it but this one I am willing to give a go as I trust Glossybox (don't let me down!). One thing I must say about this hair mask is it smells absolutely amazing! So amazing it makes you want to eat it, so if it leaves my hair smelling like that then I'll be happy! The fourth item in last month's Glossybox was a nail varnish from Nails Inc and I got the shade 'Battersea Park' which is a really lovely khaki colour, perfect for Autumn! I have actually tried this already and only did one layer but it gave perfect, even coverage so I'm looking forward to using this with a base and top coat to test the staying power (I'm terrible for chipping nails!). Lastly were three 'traceless' hair rings from a brand called 'Invisibobble' (such a great name!). I have seen these working there way into the lime-light recently and almost bought some from Primark but I was glad I didn't when I got this box. These scrunchies are a clever design which secure your locks without leaving a kink, which is what we're all looking for in a hair band, am I right?! I have used these already and they do work well, it barely feels like anything is there which is great for me as I often suffer with headaches if I wear my hair up. So those are the items I received in the September Glossybox. I know people often say 'Isn't it a waste of money?' or 'I feel like I'd never use the items', but the way I look at it is, I'm spending £13.25 (including p&p) to get £30 worth of products and if there is anything I don't like I'll just give it to friends and family to try. Another good thing is that every month you can fill out a quiz for each item you receive which gets fed back to the company so they know what people liked and what they didn't like, and the more you do the closer you are to getting a free box! So take it as you will but I really look forward to my Glossybox treat every month as it's always a surprise to see what you get! So this month I thought I would do a monthly favorites video and blog post as I think I have only ever done one, and that was many, many moons ago! I always think that I won't have enough to show in a monthly favorites as I am certainly a creature of habits, but this month (with the help of my friend Hayley) I have some different favorites to share with you, and long may this continue! My first item in my September favs is the Nivia in-shower body moisturizer. This is perfect for people like me who always forget to moisturize after a shower or are just plain lazy! All you do is put this all over your body whilst in the shower, rub it in, rinse it off and hey presto! Your skin is silky smooth and ready to go! This has literally been a god-send for me this month as I am terrible when it comes to looking after my skin so anything which makes the process quicker wins my vote! Next up we have my absolute fav lip liner which is actually from Tesco's own range, believe it or not! I got this lip liner a couple of months ago as I wanted to get something that would give the 'your lips but better' look, a shade I could wear day in, day out whilst keeping it natural. As you can see, this lip liner has been very well loved and I always find myself reaching for it for every day wear. I haven't been on the hunt for a matching lipstick, hence why the pencil is so used, but seeing as I have proven to myself that I love the colour I think it's about time I find a lipstick to match! 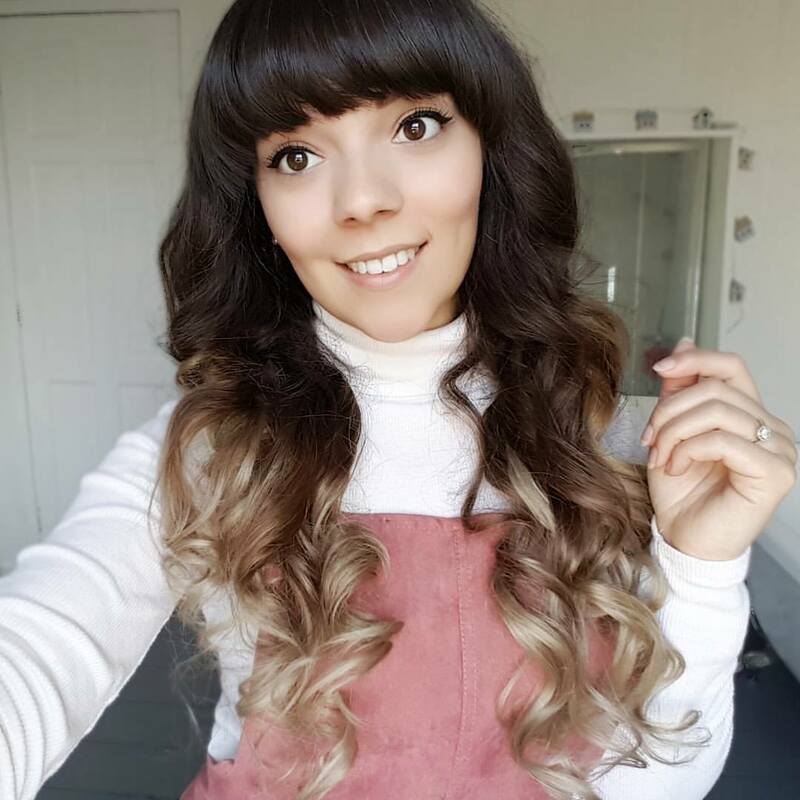 This dusky pink shade is great for all seasons as you can either keep it light and fresh or layer it up slightly for a deeper, matte pink lip. Well, well, well, if it isn't those shoes again! I bet you are all getting sick of the sight of these shoes but it wouldn't be a monthly favs if these weren't included. If you scowl through my recent outfit posts these shoes have not left my feet! They are from Primark at a measly £10 and they are just so chic, styling up any plain outfit, whilst keeping it comfortable. As I mention in my video (which you can watch below) I am half tempted to buy another pair as a back up when these have been worn to death because, let's face it, it will happen! Ah, the over-sized denim jacket. I personally feel that every fashionista should have one of these in their wardrobe as they are great for the transition between Summer and Autumn. I never used to think much of a denim jacket but when I was given this one from Jack's mum (after rolling up the sleeves) I fell in love! It goes with every outfit, even if you are wearing jeans! (There's nothing wrong with a bit of double denim, don'tcha know!) I'm quite sad that the weather is becoming chillier recently as it means I'll have to put this beauty away until Spring, but I can't wait to wear it again! 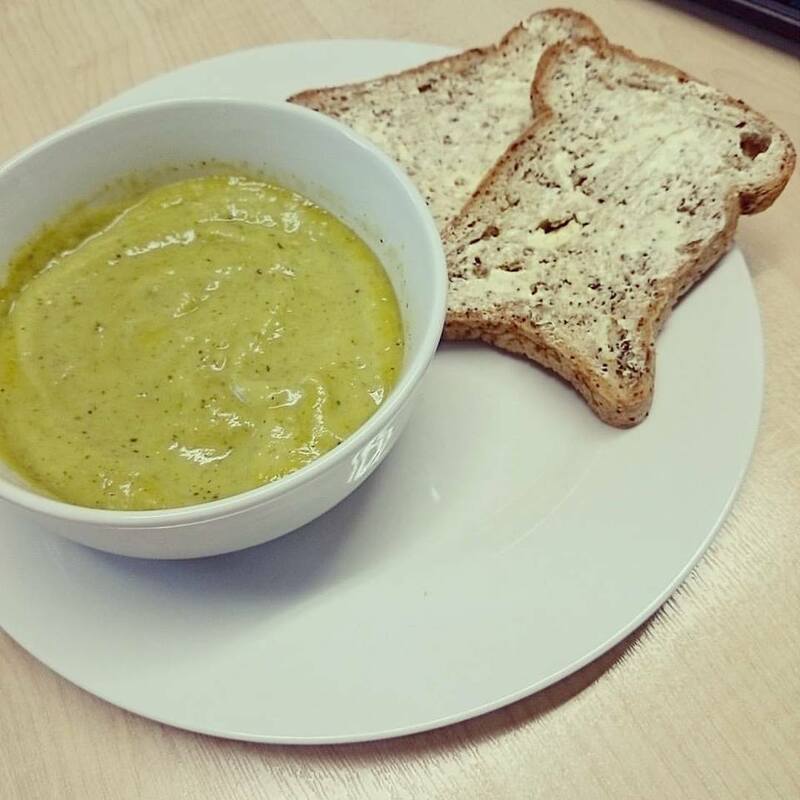 This month's food favorite is soup, but not just any soup, it's a pea, courgette and feta soup made by Jack. I wasn't sure on the sound of it to begin with but oh my, when I tried it I was amazed at how flavorous it was! It was so good that I had to get the girls at work to try it! I think this will definitely have to be made again and maybe I'll even do a blog post on it with the recipe because it's too good not to share! Now, I don't often watch a lot of TV but recently I have been getting into watching a lot of series. I have watched Pretty Little Liars since the very beginning all those years ago (who's excited for the next season?!) and I have caught up with Once Upon A Time so I'm excited to watch the new season of that, but my fav recently would have to be Orphan Black. I actually watched it in August but I am still talking about it now and recommending it to everyone so it is well worth the watch! I briefly explain what it is about on my video below so have a look! My favorite memory of September couldn't be anything else but mine and Jack's engagement party at the beginning of the month. It was such a lovely evening surrounded by our friends and family and it just made the whole thing a lot more 'real' if that makes sense? Having everyone there to celebrate with us was so special and it makes me even more excited about the wedding!! Last weekend me and Jack went to our local beach which I mentioned in this post. We used to go to the beach all the time when we were in college and university and we haven't been in ages so we thought a little trip was needed! Luckily the tide was out so we were able to find some guppies and crabs, we love exploring! It was so relaxing and it was almost as if time had stood still for us to collect our thoughts and catch up on life, that's why we love living by the sea. 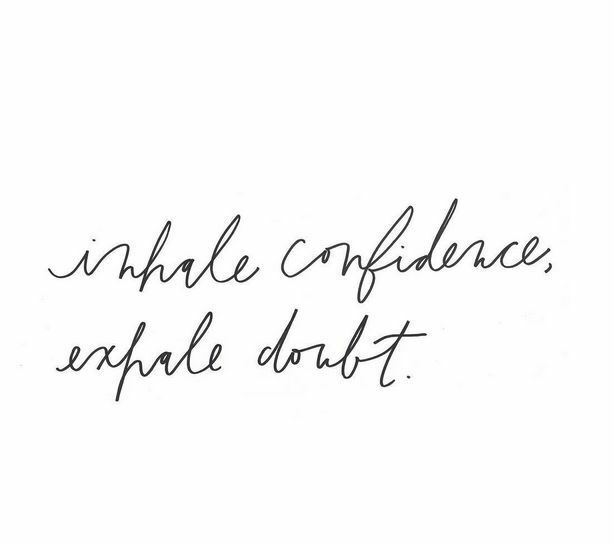 Lastly, is my favorite quote of the month and it had to be the quote above, 'Inhale confidence, exhale doubt'. I found this on Pinterest and I had to save it straight away. I think it's such a powerful message and certainly something that we should all do. We all deserve to have more confidence in ourselves and I think if you do things with confidence it usually works out better than when you are doubting yourself because you actually believe in yourself and what you are doing. So those are my September favs, what were you loving in the month of September? I'd love to know so leave a comment!